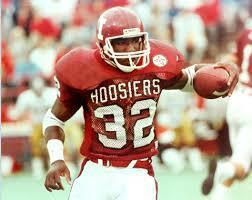 He’s one of the greatest players in Indiana University’s football history. That might not be saying much, given the Hoosiers’ woeful tradition of non-excellence, but he could have been a star anywhere. Thompson was the perfect player for Bill Mallory’s coaching era, a humble, blue collar type who got the most out of his talents. You’ll understand him better when you learn about his background growing up in Terre Haute. 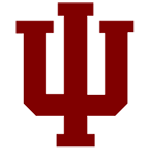 He finished his career at IU as the runner-up to Andre Ware for the Heisman Trophy, but the winner of two other national player of the year awards, a two-time Big Ten MVP, a two-time All-American and the NCAA’s all-time touchdown leader with 65. I was among the media members hanging out at Dr. Dan Grossman’s home in Bloomington when the NFL conducted its draft in 1990. We waited inside for his name to be called, while he played basketball in the driveway with a kid named Rex – who would go on to have some success of his own in the NFL. Thompson was drafted in the second round, a disappointment for such a highly decorated college player, but maybe that was justified. 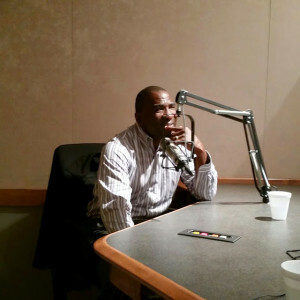 He lacked the breakaway speed NFL teams like to see in their running backs, and wound up playing in 37 games and scoring six touchdowns before retiring in 1992. He left the NFL because he had gotten all he wanted out of it, and had a higher calling: becoming a minister and working with prisoners. He’s now a pastor and associate athletic director at IU, and the best ambassador the university could have.